If you haven’t heard already, the Bank of Canada snuck in yet another rate hike this past week, marking the second one in under two months. Prior to the rate hike in this past July, the Bank of Canada hadn’t raised rates for seven years. The problem is that rates had been so low for so long that people in general have become accustomed to the low interest rate environment. Low rates meant that more people were able to take out more debt for years. If you’ve got a debt load to deal with, know that this interest rate hikes will impact your household budget. While the changes may be modest, if you are already stretched pretty thin, more interest charges can make you vulnerable. It was tempting while rates were so low to “buy-now and pay-later”. It’s time to shift your focus from purchasing to aggressively paying your debts down. Ditch the credit cards and move to cash only spending as your budget permits going forward. How much do you know about your mortgage? Are you able to make any pre-payments or lump sum payments towards the principal? Most banks will let you take advantage of this, which is a great way for you to reduce how much you owe (and how much interest you’ll be accumulating). When is your mortgage up for renewal? It’s a good idea to ask your lender to lock into a rate (most will do so 120 days in advance). That could come in handy should rates go up again. What other credit products do you have? 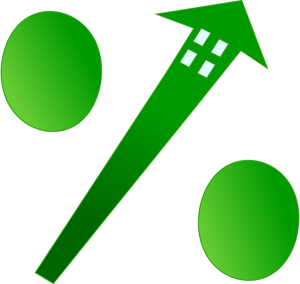 As rates go up, the emphasis will be on your mortgage increasing. It’s not just mortgage payments that will go up. Every credit product that you’ve got that involves a variable rate (i.e. your credit cards, lines of credit and any variable rate installment loans) will all be impacted. It is important to budget for these increases.